Let the restaurant know you’re coming in by adding your name to the waitlist. Download the app to give it a try. 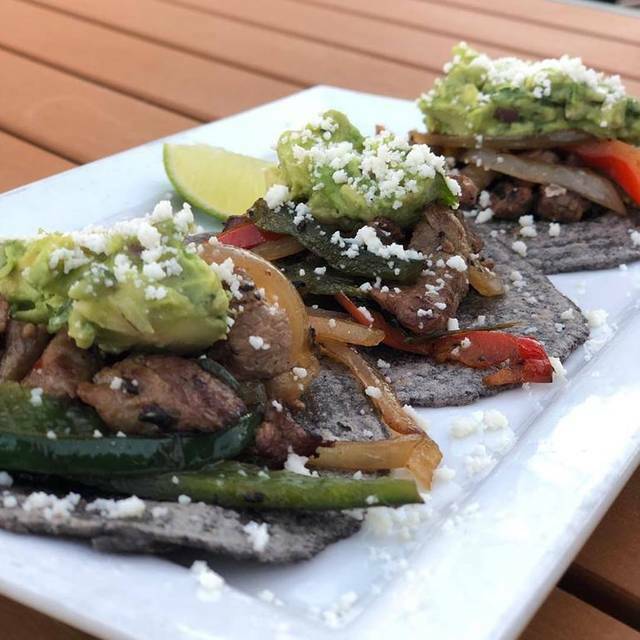 El Bolero is an authentic, regional Mexican concept that draws the inspiration for its food and beverage menu from the diverse regions of Mexico. We focus on fresh-made salsas and sauces, homemade tortillas, and traditional recipes. Join us and try our signature black margarita – The Oilman. 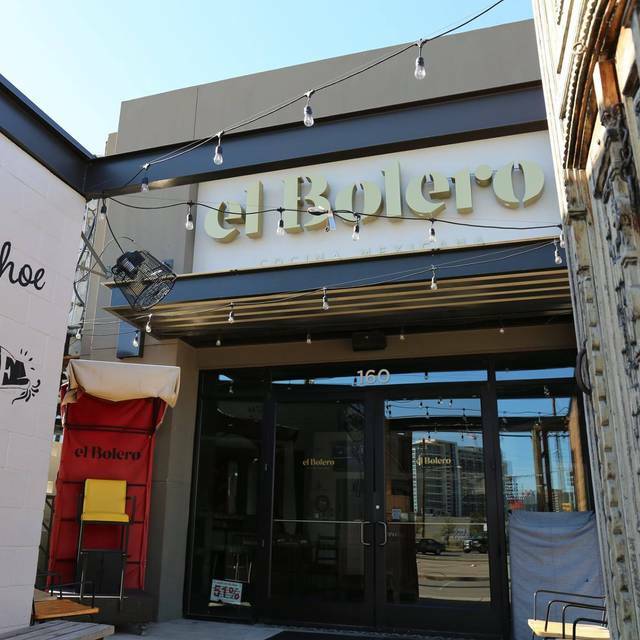 We would love to host your next event at El Bolero on Crockett Row. Please reach out to us at Events@ARGconcepts.com for more information. 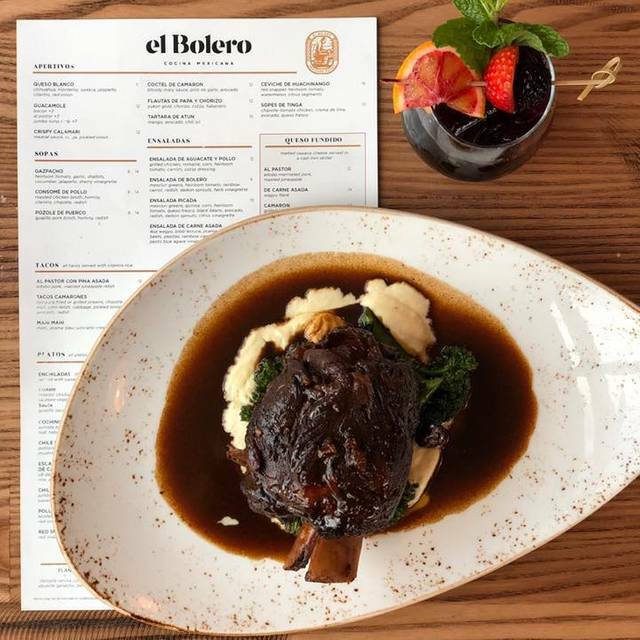 El Bolero on Crockett Row offers street parking and a parking garage. Grilled chicken, romaine, corn, heirloom tomato, carrots and Cotija dressing. Mesclun greens, heirloom tomato, rainbow carrot, radish, daikon sprouts and herb vinaigrette. Choose a flavor: Coke, Diet Coke, Sprite. Chihuahua, Monterey, Oaxaca, jalapeno, cilantro and red onion. Heirloom tomato, garlic, shallots, cucumber, jalapeno and sherry vinaigrette. Roasted chicken broth, hominy, cilantro, chipotle and radish. Melted Oaxaca cheese served in a cast iron skillet. Served with adobo-marinated pork and roasted pineapple. Melted Oaxaca cheese served in a cast iron skillet. Served with Wagyu flank. Food was ok but expecting something better. The restaurant was overly bright with light. 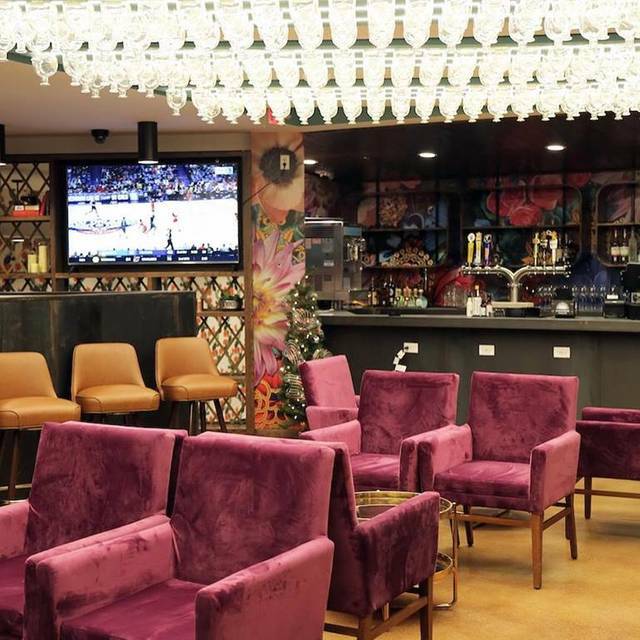 Great drinks and the patio will be perfect this summer. Will only go back for drinks in patio.